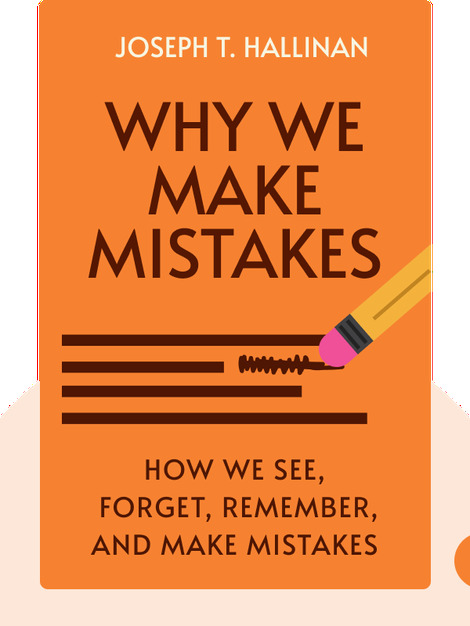 Why We Make Mistakes is about the kinds of mistakes we commonly make, and the reasons behind them. With a broad focus encompassing neuroscience, psychology and economics, the book provides convincing explanations for our often fallible perception, our inability to recall simple data and the many biases that direct our decision making without us being aware. Joseph Hallinan is a journalist and writer who wrote for the Wall Street Journal and won a Pulitzer Prize for his investigative reporting. 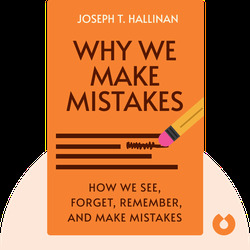 Besides Why We Make Mistakes, Hallinan has also written the award-winning Going Up the River: Travels in Prison Nation and, most recently, Kidding Ourselves: The Hidden Powers of Self-Deception.